The Toledo plant has produced an estimated 15,892 Dodge Nitros so far this year. Production at Chrysler Group's Toledo North assembly plant in Ohio continued today despite an explosion at the plant that supplies door modules to the operation. The explosion took place earlier today at Faurecia Interior Systems' plant in a Toledo suburb. The plant makes the Jeep Liberty and Dodge Nitro SUVs. Chrysler spokeswoman Katie Hepler told Bloomberg News that the explosion “caused supply constraints” for the plant, near the Ohio-Michigan border. Toledo North was scheduled to shut down today at 12:30 p.m. EDT and resume production tomorrow morning, she told Bloomberg at the time. This year the Toledo plant has produced an estimated 15,892 Nitros and 46,654 Libertys, according to the Automotive News Data Center. Through August, Chrysler sold 13,801 Nitros in the United States, up 10 percent over the same eight months of 2009. 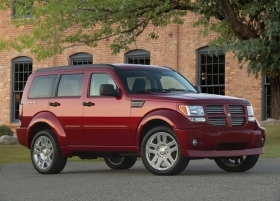 Chrysler sold 32,324 Libertys during the same period, up 8 percent over 2009. A spokesman for Faurecia could not be reached for comment this afternoon. According to The Toledo Blade newspaper, nine Faurecia workers were injured in the explosion, which reportedly involved a grease machine. Only minor injuries have been reported. The cause has yet to be determined. The Toledo North opened in April 2001. Faurecia, based in Nanterre, France, ranks No. 7 on the Automotive News list of the top 100 global parts suppliers, with worldwide sales to automakers of $13.0 billion in 2009.